Just found this great picture on my Twitter feed this morning. Average performing sales people get caught in this trap much too often start making unilateral concessions early pushed by the buyers demands, leaving no room for negotiations later and no room for growing the perception of value in the mind of the buyer stuck on a low price being the only valid buying criteria which it is never is. Always, always, always talk value first in your sales conversations, and defer buyer initiative to talk price and negotiate early, and you will do both the buyer and yourself a big big big favour. Value = Benefits – Costs – for the selling organisation. 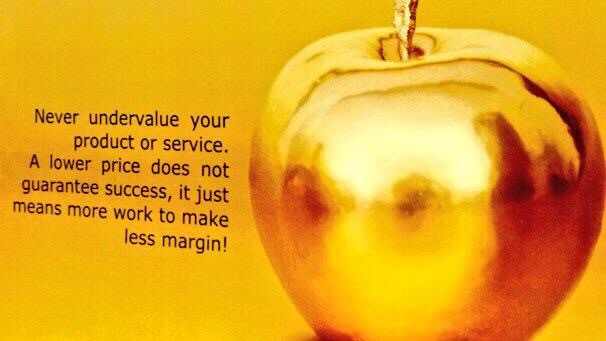 Value does not equal Price. Let the buyer know this universal truth of business early in your conversations, then both seller and buyer will end up being heroes in both organisations. At Huthwaite International we have done a major global research study that uncovered some interesting truths on how winning organisations create and capture value throughout the buying cycle of the buying organisation. Feel free to read it here.